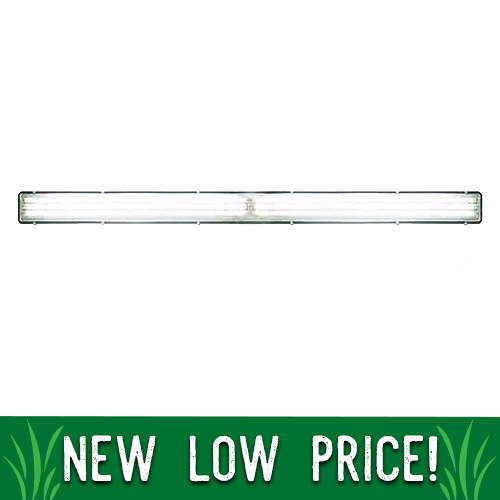 This 8', 6-bulb (bulbs included) LED lighting system will really "brighten" up your day! This lighting fixture has a frosted shatterproof polycarbonate lens that provides 5,000K (Daylight color tone) and a NIGHT LIGHT feature. This 8', 6-bulb LED lighting system will really "brighten" up your day! This lighting fixture has a frosted shatterproof polycarbonate lens that provides 5,000K (daylight color tone) and a night light feature. Optional “Night Light” option allows you to power down to any tube at 0.16 amps per fixture (requires wiring of an additional circuit(s) upon installation). No ballasts to replace or repair. 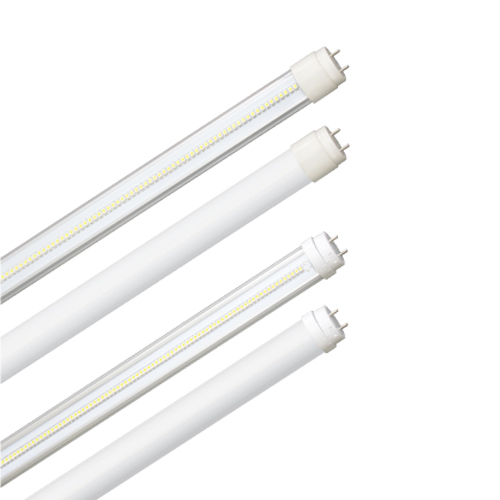 Easy retrofit tube option for ballasted T5, T8, and T12 fluorescent fixtures. Does not create RF (radio frequency) interference that can hinder livestock tracking tags/collars, cell phones, wireless remotes, or two-way radios. Does not emit UV (ultraviolet) or IR (infrared) radiation. Power surge protection up to 1,500V with an automatic shut down. Save up to 90% versus incandescents, or up to 70% versus fluorescents. Choose either clear or frosted/crepe shatterproof polycarbonate lens. IP 65 rated against dust particles and pressure washers from any direction. Instant, a full-intensity start-up with no humming or flickering (*Even in cold temperatures!). Cool to the touch; lowest heat emission of standard lighting. Minimum 60,000 hours of operation life. Safe for animal and human eyes (EN62471 tested). Tightly binned LED selection for color uniformity from tube-to-tube. Environmentally friendly! There's no mercury or other hazardous substances. This eliminates costly recycling fees associated with fluorescent tubes.